And the cross-cutting is now all done - hurrah! Now, my next query is with regard to piecing the blocks. There are plenty of diagonal seams to sew, then cut - so to retain the shape of each piece, am I wise to starch the nuts out of all my pieces now in order for them not to stretch when pressing? And if so (beginner primer 1 question...!) do I spray the pieces, let them dry and then press with a dry iron OR do I spray 'n' iron whilst damp with starch? Now you know what Bilbo will say don't you? Starch the beejeebers out of them BUT, since you are sewing the seams first then cutting the diagonals, I don't think you need to. You are not actually going to be handling the bias cuts before sewing, and that's where the danger lies, so I say just go sew! 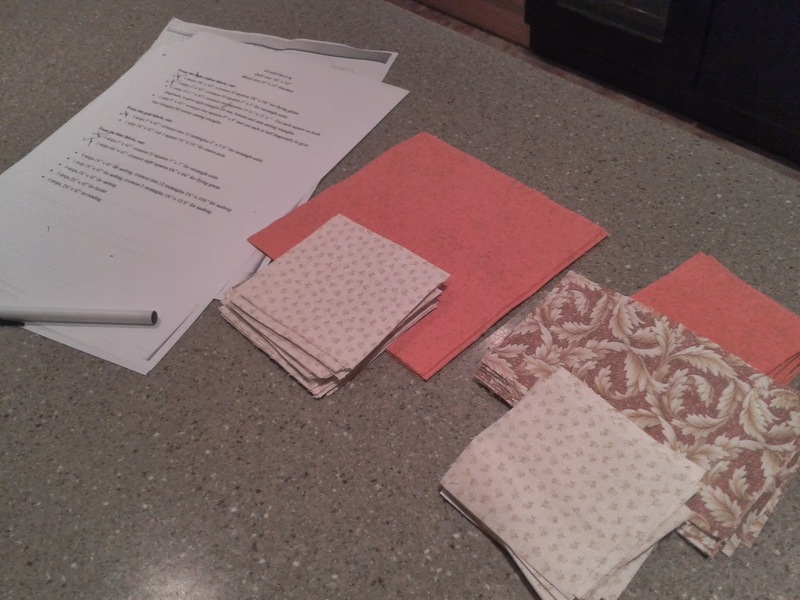 Eleanor's Quilt Piecing, and the Christmas QAL!